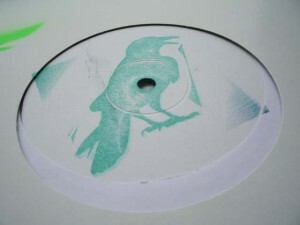 A medieval story related to crows and castles is behind the 12-inch compilation but instead of gloomy stories we get six tracks filled with bright sounds from North Wales. Stamped, and stamped again, the grey vinyl edition might make suspicious but don’t worry, the bird-themed compilation has some qualities. Stronger cuts on the A-side, which begins with fine guitar-touched house in “Exotic Guitar” by Maxim Lany & Lemakuhlar, followed by Studio Swiss’s chord-driven “Falcons Pass”. After ornithological intermezzo called “Knaresborough Bird” by Glyn Ceriog, the flip contains nu disco flavored tracks by Luv Jam and Taylor Made while Plas Vegas goes back to the house sounds of 2000ies. Nothing too special but a neat compilation of warm grooves.